Today we have the pleasure of meeting up with author Jaden Terrell, one of the many fantastic authors who have contributed to the Cold-Blooded (Killer Nashville Noir) anthology, to talk about River of Glass (24 October 2014, The Permanent Press, 271pages), a Mystery Thriller, book three of the Jared McKean Mysteries series. A very warm welcome to Jaden Terrell; thank you for joining us on Bookschatter. What was the inspiration for River of Glass? "I was surfing the Internet and came across this sentence: "There are more slaves in the world today than at any other time in human history." I knew then that I wanted to write about the issue of human trafficking. I already knew that Jared, my detective, had a sibling or siblings he didn't know about, and that their existence was related to his father's service during the Vietnam War. These two ideas came together, and a scene flashed into my head: the body of a young Vietnamese woman is found in Jared's office dumpster, and in her hand is a war-era photo of Jared's father with his second family. Jared's name and office number are on the back. The rest of the book, River of Glass, grew from there." "On the surface, Jared and I have little in common. He's a tough guy, a former homicide detective. I'm a former special education teacher, not tough at all. I had to do a lot of research to capture his "ex-cop" skills and perceptions. He's a lot more observant than I am. But beyond that, there are similarities. We're both animal lovers. He has a son with Down syndrome who is based on several of my students. We both still have friends from childhood; we don't let go of what we love." The first thing that draws me to a book is its cover. Can you tell us about your cover for River of Glass - why you chose that concept and who the artist is. "I wish I could take credit for the concept! Artist Lon Kirschner, who does the cover art for The Permanent Press, read the book and, based on the title and the story, came up with the cover-shards of glass, done in various icy shades of blue. The first time I saw it, I was completely blown away. 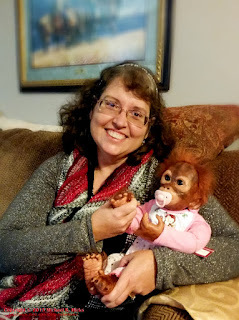 It was perfect-even down to the little jade monkey, which I'd been quietly hoping he'd include. I absolutely love it." 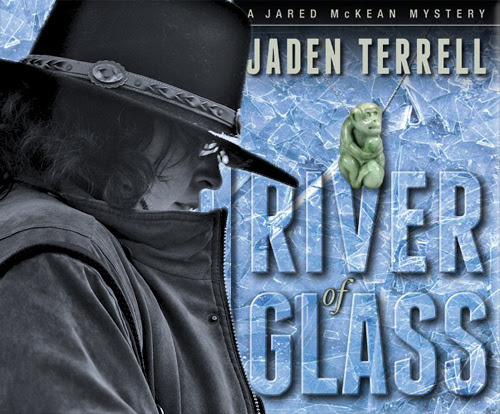 Why should we read River of Glass and the Jared McKean Mysteries? What sets it apart from the rest? "With Jared, I wanted to take the traditional tough-guy PI and give him the kind of connections you don't usually see in the genre. He has family. He has friends. He has dogs. He has horses. His life is filled with difficult relationships-the son with Down syndrome, the best friend with AIDS, the ex-wife he still loves and who still loves him, her new husband, who isn't a jerk (as much as Jared might wish he were). And now there's a new sister he has to come to grips with, along with the knowledge that the father he's spent his life living up to had feet of clay. He's constantly navigating these relationships with people he cares about. They're an undercurrent beneath the main storylines, and if I've done it well, they give the books depth without slowing the action." Can you tell us something quirky about River of Glass, its story and characters? "On one level, the book is about two broken people, each of whom wishes the other didn't exist, forced to work together to save a young woman in peril. It's an odd sort of buddy story-this good-looking young American detective and a scarred Vietnamese woman with one arm and a fierce spirit. No matter what he tries, he can't shake her. She won't let herself be shaken." Who would you recommend River of Glass to and what should readers be aware of (any warnings or disclaimers)? "River of Glass is most suited to adults or mature older teenagers who like crime fiction by writers like Robert Crais, Steven Womack, and DennisLehane. These are all writers I've learned from and whose books are similar in tone. The book is on the dark side, and there are some disturbing scenes. While I tried to handle them with sensitivity, human trafficking is a difficult subject." If you could / wished to turn River of Glass and the Jared McKean Mysteries series into a movie, who would be your dream team? "I like Clint Eastwood or Ron Howard as directors. They treat the original material with so much respect. For the characters, I tend to think of types rather than specific actors. I always thought Nikolaj Coster-Waldau would be perfect for Jared, but Chris Hemsworth or Chris Evans would be similar types, and either would be terrific. For Jay, Jared's housemate and friend, I'd pick a Bill Brochtrup type (from NYPD Blue). For Randall, Jared's brother, an Aidan Quinn type, for Frank, his ex-partner, a Brian Keith type (in his older years), for Maria, his ex-wife, an Andie McDowell type." I can see what you mean about 'types' and it makes perfect sense. "My published works are all private detective novels, but I'm also working on a fantasy series, a cozy-ish mystery series, and three stand-alone literary mysteries-all character-driven. I read in a lot of genres, but these are my favorites. 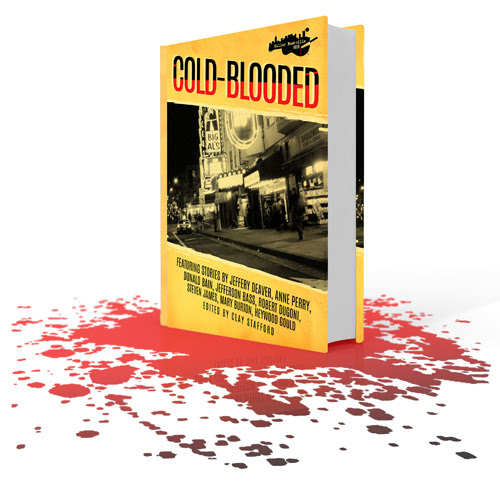 I love short stories too, so writing "Peace, Sometimes" for Killer Nashville Noir: Cold-Blooded was a high point. I'd like to write more short fiction." 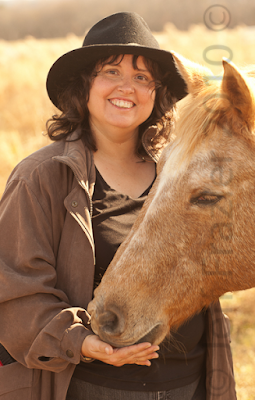 "Once I have an idea, I scribble thoughts in a spiral notebook until I have the basic underpinnings of the story. For a mystery, I need to know who committed the crime and why, the basic timeline of it, and who the suspects are. I know what clues will lead Jared to the killer and which will lead him astray. Then I brainstorm scenes, jotting a sentence or two about each one on a separate index card. I move them around until I find what seems like a good order. Once I have a good sense of where the story is going, I write an awful first draft-too wordy in places, too thin in others. I revise a lot. It's like finding the angel in the clay." "I'm finishing up the fourth book in the Jared McKean series, A Taste of Blood and Ashes, which is about the Tennessee Walking Horse soring controversy. Once that's put to bed, I have a few projects in progress-a stand-alone novel, a fantasy trilogy, and, of course, the fifth book in the Jared series. I also hope to write more short stories. I'm already planning my submission for the next Killer Nashville anthology." River of Glass - available NOW! Thank you for the interview opportunity and for the great question! Pete (the horse in the photo) thanks you too.